From the very beginning of our activity in 2000, we have engaged into a Sustainable Agriculture, a compromise between conventional practices and organic practices. An audit was ordered in 2004 to address the way we work, our methods, our environment. 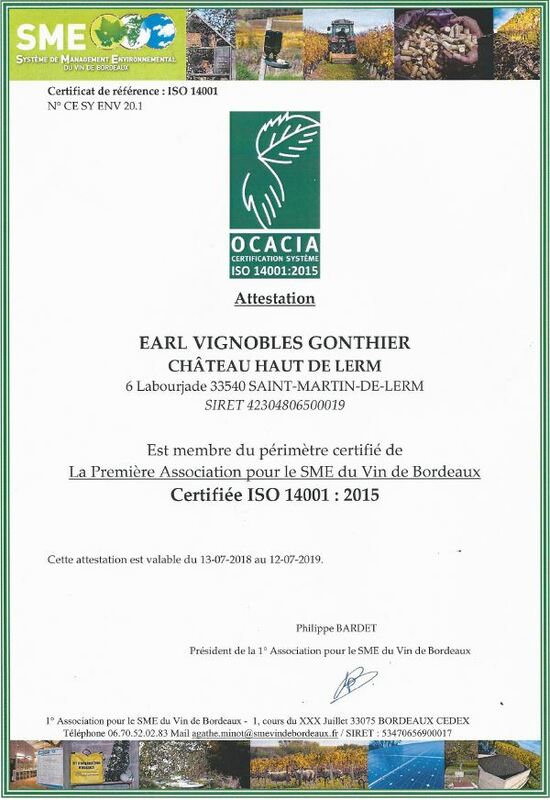 Buoyed by this audit report, and after years of several standardization and improvement, we have decided to get closer to CIVB (Conseil Interprofessionnel des Vins de Bordeaux) which proposed a collective ISO 14001 certification, international standard on SME (Environmental Management System) applied to the wine estate. It meets the environmental considerations which applies to us all, as producers or consumers. Since 2015, the property has become a member of the fist association, ISO 14001 certified. Our sustainable oriented agricultural approach was completed in 2017 by HVE (Haute Valeur Environnementale) certification which takes into account biodiversity. 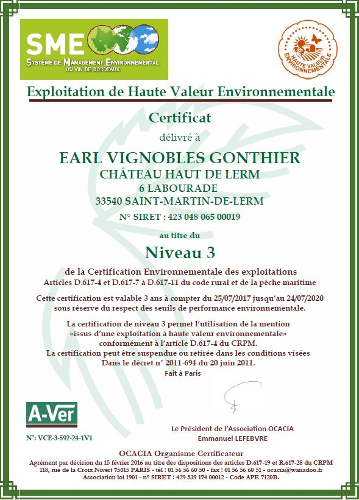 HVE certification is the highest level of the three environmental certification levels of farming in France. This certification is directly related to production. Classify the vineyard : « Protected wildlife » through an association. 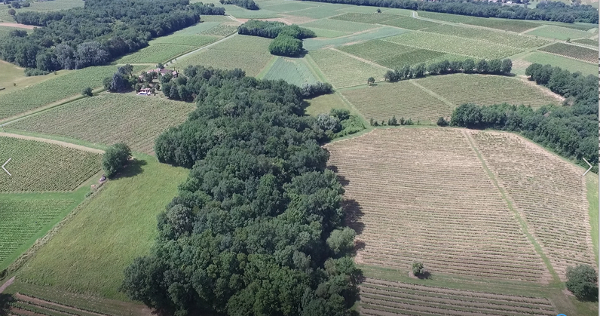 The vineyard overview shows a biodiversity balance between vines, grasslands and woods. 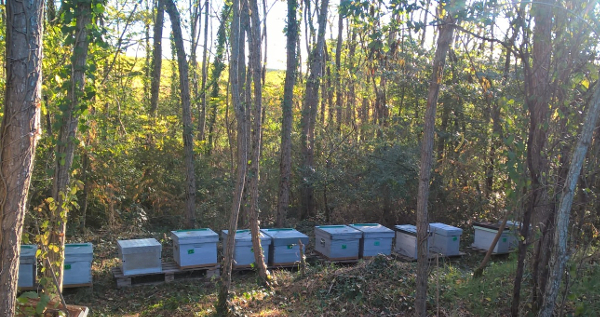 New “ladies” less chatty but more stinging … have been set in a dozen beehives at Château Haut de Lerm, in the small central wood. They complete this balance. and also, constantly challenge our agricultural practice and operation from vine up to bottling. Develop the right reflexes ! Daily sorting out is an easy way to do to preserve natural resources. After bending, put carton packaging into the recycling bin, with papers and other cardboard packaging. Containers for collecting glass are made available, think about putting bottles and other glass bottles into them. The nature and Château Haut de Lerm thank you for your involvement ! To visit this site, you must be of legal age to consume alcohol in your country of residence. Alcohol abuse is dangerous for health, consume in moderation.